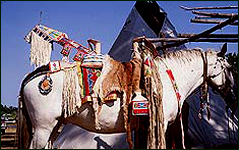 Jack Parsons - "Native America"
The arts of native Americans – both past and present – have never been more popular. In this groundbreaking volume, distinguished art historian Christine Mather joins photographer Jack Parsons to celebrate the highlights of American Indian culture. The grandson of native American research pioneer Elsie Clews Parsons, Parsons approached this project with a special respect. 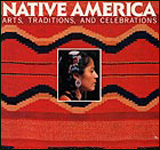 The book introduces viewers to sacred landscapes, colorful powwows and private pueblo dances, to earthform architecture and, especially, to the remarkable crafts of the original Americans. With more than 400 gorgeous photographs, not only does it locate and present ideas for collectors and home designers who wish to respect the original culture of the Southwest. 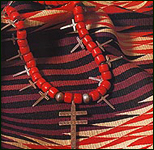 It also provides a vital link between native American life in the past and native America today.